An epic roundtable discussion hosted by Ricky Varandas of The Ripple Effect Podcast and featuring James Corbett from the Corbett Report, Sam Tripoli from the Tin Foil Hat podcast, and Pat Miletich & Jeffery Wilson from The Conspiracy Farm podcast. Need I say more? Enjoy! 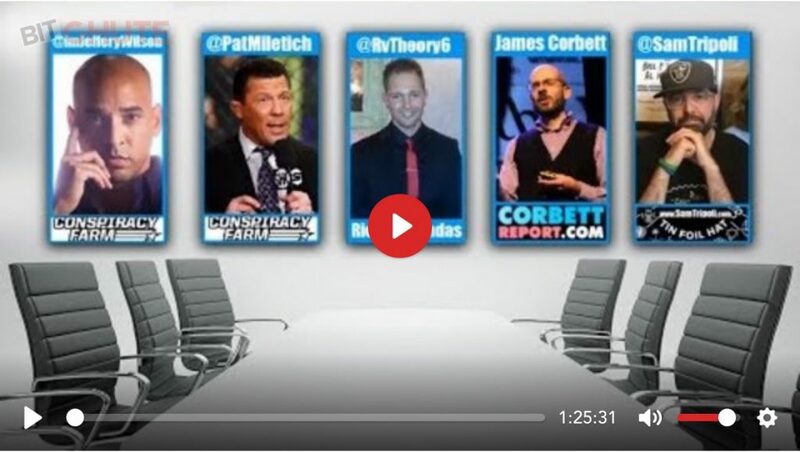 http://www.corbettreport.com/mp3/2018-11-23%20Ripple%20Roundtable.mp3 An epic roundtable discussion hosted by Ricky Varandas of The Ripple Effect Podcast and featuring James Corbett from the Corbett Report, Sam Tripoli from the Tin Foil Hat podcast, and Pat Miletich & Jeffery Wilson from The Conspiracy Farm podcast. Need I say more? Enjoy!